On October 14, 2015, I had the pleasure of presiding over our forum, Humans & Hardware: Preventing General Aviation Inflight Loss of Control. We structured the forum to bring in expertise from pilots, instructors, general aviation advocacy groups, the Federal Aviation Administration, and manufacturers of potential technological solutions, among others. Our goal was to take the next step toward solutions to this most deadly problem in general aviation, loss of control crashes. To do so, we needed pilots to understand that they are part of the solution. Now, just a few days later, two leaders in general aviation safety are doing their part to put ideas into action and to spread the word. General Aviation News reports that at the forum, Master Instructor Rich Stowell proposed the “Learn to Turn” Initiative. Now he’s reaching out to enlist pilot support. And Tom Turner, in Flying Lessons Weekly, published this brief roundup of quotes from the forum, promising more outreach in the future. The video of the full forum is now available via the webcast archive and will be available there for 90 days. We will also post the Forum to NTSB’s YouTube channel in the near future for ease of sharing. As I said at the forum, the prevention of Loss of Control crashes should be a focus for every aviation type club, pilots association and aircraft related forum – including Twitter feeds, Facebook pages, and any place where pilots gather, face to face or electronically. I urged forum participants to continue the conversation when the forum ended. Now I’m urging every GA pilot – and those close to GA pilots – to join in. We’ll be sure to keep sharing any new initiatives from the Humans & Hardware forum. If you’re a GA pilot or if you know a GA pilot, please share along with us. Earl F. Weener, Ph.D., took the oath of office as a Member of the National Transportation Safety Board on June 30, 2010. Dr. Weener is a licensed pilot and flight instructor who has dedicated his entire career to the field of aviation safety. Motor vehicle crashes are the number one killer of teens – even over cancer, drugs, and violence. In the last decade alone, more than 2,000 teens have died every year in such crashes. The lives of too many teens are tragically cut short in crashes that can be prevented. That’s why organizations, youth, families and advocates across the nation are taking this week, National Teen Driver Safety Week, to reflect on those we have lost and to find ways to avoid losing any more of our youngest and brightest. The fact is: we can reduce the number of teen deaths on our highways, and we must do everything within our power to make it happen. On Thursday this week, the NTSB is partnering with DRIVE SMART Virginia to hold a Youth Open House and Transportation Education Day. Teens from northern Virginia high schools will participate in this one-day event to learn about the NTSB safety mission and hear first-hand from investigators the lessons learned from accidents investigated by NTSB. Additionally, teens will hear from featured speakers such as NTSB Vice Chairman Bella Dinh-Zarr, National Highway Traffic Safety Administration (NHTSA) Administrator Mark Rosekind, Virginia Congressman Don Beyer, and Fletcher Cleaves, a high school athlete paralyzed in a crash involving a distracted driver. The Youth Open House is an effort to teach teens about safer driving practices and then empower them to take that safety message to their peers. Teen driver safety is one of the agency’s highest safety advocacy priorities. This week, NTSB Chairman Christopher Hart and many others addressed youth during the National Organization for Youth Safety Teen Driver Safety Summit – an annual event where youth gather to learn how to engage their peers, parents, community members, and policymakers in education about teen distracted driving. Youth from Family, Career and Community Leaders of America will be engaging in many social media activities to promote safer driving throughout the week, and Impact Teen Drivers will let its west coast presence be known by hosting press events and activities to educate youth and the public. SAAD is supporting the effort with its “Getting Behind National Teen Driver Safety Week” message on the effects of impairment on young drivers. But we – NTSB and safety advocates – can’t do it alone. We need the help of parents and other adults, as well as government entities. According to a recent NHTSA survey, only 25% of parents have had a serious talk with their kids about the key components of driving. Parents, it’s time to step up to the plate and don’t just talk about the mechanics of driving or drop them off at the driver educator – take the time to talk with them about the many real dangers of driving, such as distraction and impairment. At the state level, one solution is graduated driver licensing (GDL) systems. Because teens have a higher crash rate than experienced drivers (those over 20), it is vital that we ease young drivers onto the roadways by controlling their exposure to progressively more difficult driving experiences. A GDL system has aided many of our young drivers, and we must continue to support programs like this. Recognize that teens aren’t always to blame. While these programs discussed above are targeted at teens, a community effort is required to make a difference. Affecting the driving behavior and changing the safety culture on our highways will, in a large part, depend on the adults – and it will take more than just one week. It is said that “safety is a never-ending journey.” Many are doing their part this week by participating in that journey. So will you? Nicholas Worrell is Chief of the Office of Safety Advocacy within the NTSB Office of Communications. NTSB’s Vice Chairman Dinh-Zarr, Highway Investigator Dr. Lisandra Garay-Vega and Fara Guest, Director, Office of EEO, Diversity and Inclusion pictured with Dr. Perez. 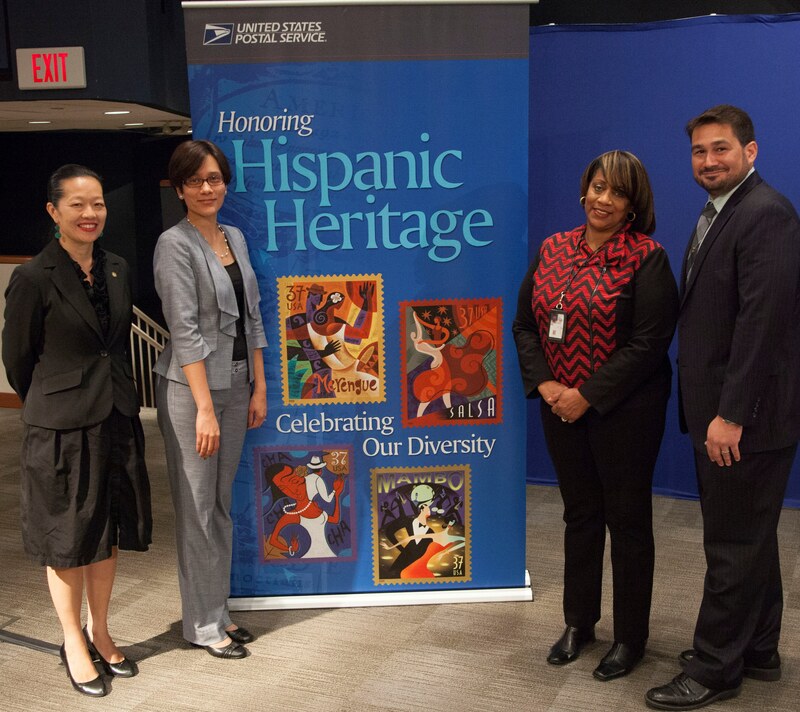 Our country observes National Hispanic Heritage Month from September 15 to October 15 every year. During that time, we celebrate the cultures and contributions of people whose ancestors came from Spain, Mexico, the Caribbean, as well as Central and South America. Hispanic Americans have played a key role in our country’s proud heritage and the building of our nation. After all, the United States has the second largest population of Hispanics in the world. Our nation’s diversity has always been one of our strongest assets. And the Hispanic American community is a valuable component of our multicultural society. One such valuable contributor to our society is Dr. Miguel Perez, director of the Center for Data Reduction and Analysis Support at the Virginia Tech Transportation Institute. As part of our Hispanic Heritage Month celebrations, we invited him to speak to us about his efforts related to “naturalistic” driving study design and analysis, data standardization, data preparation, and data mining. Naturalistic studies involve monitoring individuals in their natural driving environment as they do the things they normally do while driving. This work is critically important because data yielded from such studies help researchers and folks in the transportation safety business like the NTSB better understand how people operate their vehicles in real-world situations. Dr. Perez’s primary focus is on driver distraction and how drivers respond to distractions—both on the road and in the vehicle. This is also a significant interest area for the NTSB. In fact, “Disconnect from Deady Distractions” is on our Most Wanted List of transportation safety improvements. Dr. Perez showed NTSB staff several videos from his studies, showing distracted drivers and drivers involved in unexpected situations. Although these drivers know they are being monitored on video, it is still amazing the kind of risks they take. It reminds us again of the dangers associated with distracted driving and the potential impact that technology could make to mitigate or prevent crashes caused by distraction—another area he and his institute is studying. One of the virtues of the Hispanic community, said Dr. Perez, is their unity. The transportation safety community, of which he is a part, is also unified in one mission: to apply all our unique skills to understand driver behavior and save lives. We will—and must—continue to work together with experts like Dr. Perez to better understand driver behavior so we can recommend solutions that make a difference. For his contribution to our observance of Hispanic Heritage Month and his efforts to promote diversity and collaboration in transportation, the NTSB awarded Dr. Perez with a special plaque. Without a doubt, Hispanics are making a difference and shaping our world—just as this community helped to shape my world from early on. I remember dancing at Cinco de Mayo celebrations in elementary school and celebrating the quinceañera of a friend in high school in Texas. As a newly arrived immigrant myself at that time – albeit from a different part of the world – I remember being impressed that my new country welcomed and celebrated our many diverse heritages. As a college and graduate student, I spent time in many countries in Latin America and the Caribbean, including Chile, Mexico, Costa Rica, and Paraguay. And today, my husband and I are raising our young son in a multilingual household and often speak and read together in Spanish. These diverse cultural influences have made my own life richer and I am confident that they have also made our country stronger by helping us understand each other better. T. Bella Dinh-Zarr, PhD, MPH, is Vice Chairman of the NTSB. On September 30, we announced two urgent safety recommendations which, if acted upon, will help improve safety for Metrorail riders. The recommendations urge the Department of Transportation to seek legislative authority to put WMATA safety oversight under the Federal Railroad Administration instead of the Federal Transit Administration, and once the authority is granted, to develop an oversight transition plan. Let me explain the details. 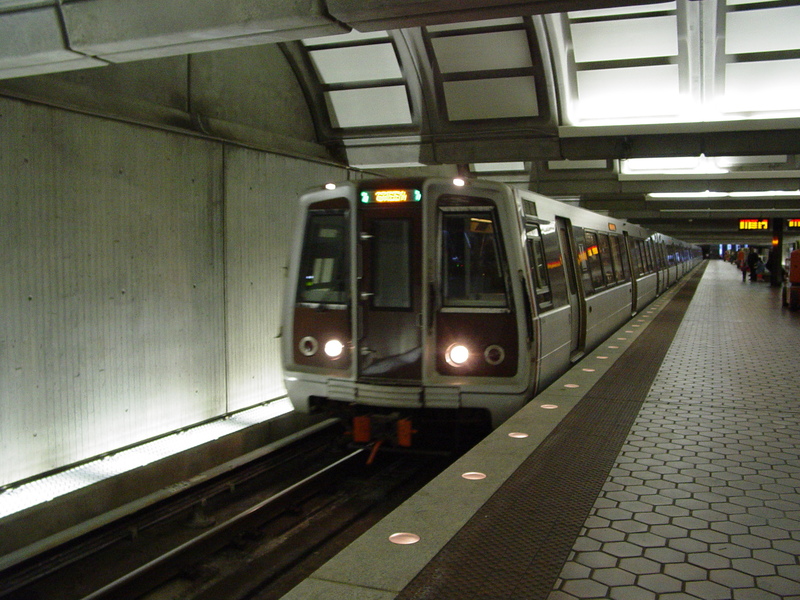 WMATA’s Metrorail system is the only transit system in the country that serves three jurisdictions – Maryland, Virginia, and the District of Columbia. Under the present structure, all of those jurisdictions have to agree on how to create a process to provide effective safety oversight of WMATA. What Additional ‘Safety Oversight’ Does WMATA’s Metrorail Need? If the TOC recommends that WMATA fix a safety issue, it is up to WMATA’s management to decide whether to follow TOC’s recommendation; and if they decide to follow the recommendation, it is up to WMATA’s management to decide how and when to do so. Why is TOC part of the safety oversight process? Because the Federal Transit Administration relies on state safety agencies for its safety oversight of transit systems. So under the FTA model, state-level agencies have to be strong. The TOC fills this state safety oversight role for WMATA. But the TOC consists of only three full-time employees, and it has no on-site inspectors or safety enforcement authority. The FTA has stated that it cannot certify the TOC as a state safety oversight agency, in part because the TOC lacks some of the capabilities listed above. There is precedent for the FRA oversight of WMATA that we have recommended because there are some transit agencies in this country that are currently under FRA safety oversight. For example, the FRA provides direct oversight over the New York and New Jersey PATH system instead of using state safety oversight agencies. The FRA has safety regulations for equipment, track, signals and operations. It also has safety inspection and enforcement resources that could be on Metrorail property soon after the transition takes effect. The FRA also has the authority to issue civil penalties, compliance orders, and emergency orders to correct safety hazards and remove track and equipment from service. The TOC, the three jurisdictions, and the FTA all agree that standing up a stronger state-level safety oversight agency would require legislation in all three jurisdictions and would take several years. But there’s a safety gap now, because the TOC cannot provide the level of safety oversight that is needed for Metrorail. Our urgent recommendations, if acted upon, will provide safety oversight for WMATA and help close the safety gap. Riders of the Metrorail deserve no less. You can read our press release on the recommendations here.